I am an enthusiastic award skeptic. I wish I could say that I’m one of those English majors who always knows the answers to the Shakespeare clues in crossword puzzles, but the truth is that my down time mostly alternates between internet TV and internet news. This is to say that I am well aware that most Hollywood awards are bought – in fact, most of them are the result of extremely targeted marketing campaigns. This does not stop me from spending weeks prepping to watch the Oscars each year. I hate the American Advertising Awards a little bit. Here’s why. As a social occasion, they’re great. You get all of Buffalo’s ad people in a room with hors d’oeuvres and an open bar and you’ll probably have a good time. As a professional showcase, they’re unmatched. You show all their best work on the big screen and you’ll probably end up motivated and inspired. Long story short, there was a lot of talent in that room. Despite how proud I might be to be part of that community, though, it’s hard not to go there and feel a little small. We won a silver AAF District 2 Addy for our work for Druthers! We actually found that out a while ago, but we just got the award today. What we also got was the showbook that features all of the AAF District 2 winners, and they’re awesome. We’re proud to mentioned in the same breath as a lot of these folks and we’d like to run down the best in show for you. Another WordCamp Buffalo conference has come and gone. Congratulations to Ron Brennan, Dominic Licata, Andy Staple, Ben Dunkle, and Michelle Ames for organizing a great event. This year was special for me for two reasons; First, I spoke at this year’s event, so I had a completely different (and amazing) experience than year’s past. Second, the event was at UB’s Center For the Arts (CFA) where I spent mosts of my time in undergrad as a Media Study major. I’m going to try and hang onto the inspiration and enthusiasm I felt at this WordCamp in the design/dev track since I’m gradually becoming disconnected from production the more I get into speaking/writing about and handling our own small business and pricing tasks. Hi, I’m Amanda….a rookie here at LUMINUS! What I mean by that is that i’m a new intern here and I would like to share with you my experience so far and why you should also become an intern here at LUMINUS! Go out and meet people, make connections, and show that you are really into what you love. The fancy jargon for what I’ve been gaining experience in at LUMINUS is called Digital Marketing. I must say that I learned quite a few things that I couldn’t otherwise at that 40-hour thing known as my current job. 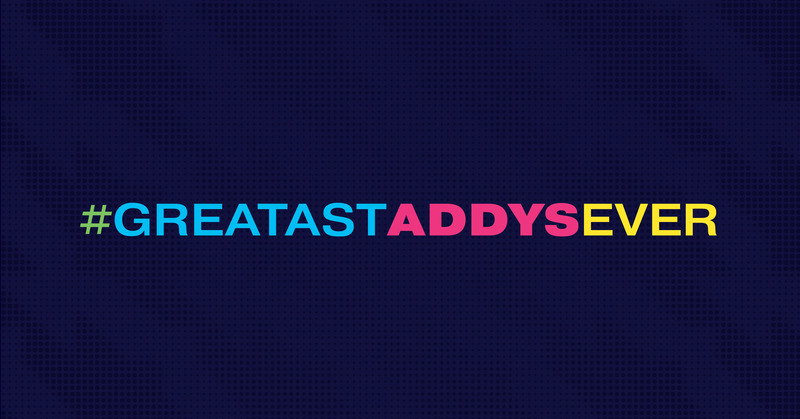 We got our hands on the breakdown of this year’s regional Addy’s winners from Buffalo. Regionals are a big deal. Locally, we all go up against each other, which is exciting and inspiring and intoxicating. Regionally, we go up against 13 other clubs in our district (District 2 of the American Advertising Federation). That includes DC, Albany, Philadelphia, Baltimore and other major metros. So we’re really proud to see Buffalo out there killing the game. To our peers: congratulations! Buffalo rules and so do you. We’re really proud to be a part of this community. This blog post runs down the just the professional winners for now. 1. You and a handful of your best friends get dressed to the nines and show up at the Statler. Earlier this year Tim was voted to the Board of Directors for the Advertising Club of Buffalo. In July preparations for the new calendar year (for the club) began and this month starts the launch of the 2015-2016 club calendar. Tim will be helping with AdLab events, Web/Communications, and general club promotion/membership. Buffalo’s Worst Website Winner: Buffalo Research! Buffalo’s Worst Website contest has come to an end and the people of Buffalo have spoken. Out of multiple entries and five finalists, the winner of the 2014 Buffalo’s Worst Website contest is, Cynthia Van Ness from Buffalo Research! Cynthia Van Ness runs the website, Buffalo Research and lives and breathes the Buffalo spirit. Cynthia entered the contest looking for a solution to make her site a little more user friendly and easy to navigate. Currently, the site holds massive amounts of data collected to provide to the public about the history of Buffalo.